Development Artist: Andy MartinThe YSL-897Z was developed with Andy Martin, the world's finest trombone player.BalancerThe new balancer found on the YSL-897Z perfectly proportions the instrument's weight.Interchangeable LeadpipesThe YSL-897Z comes with 2 interchangeable leadpipes, Z1 and Z2.Inner SlideThe chrome-plated nickel-silver drawn inner slide is very durable and has a quick, sensitive response. In addition, it is a one-piece drawn slide.Outer SlideThe one-piece, drawn, brass outer slide maintains an accurate diameter throughout its length, and this type of construction ensures airtightness, smooth action, and exceptional durability. 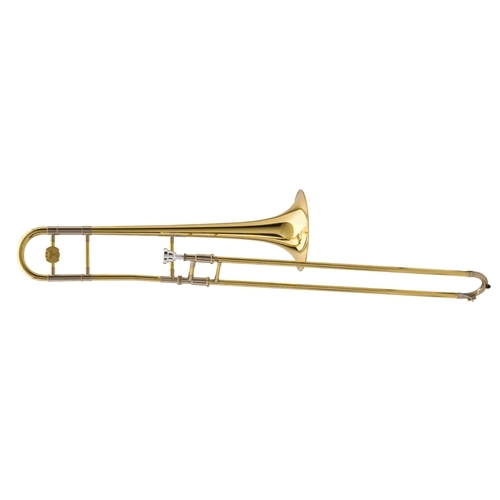 The outer slide is fit with extremely close tolerances making the trombone respond quickly and effortlessly.One-piece BellA one-piece bell has an axial (lengthwise) seam, making it a continuous extension of the instrument's material. This results in pure, uniform resonance and superior tone. A hammered yellow brass bell produces a pure and perfectly-balanced tone with quick response and extra presence due to advanced manufacturing techniques.